LFB is a pharmaceutical group specialising in plasma derived or recombinant therapeutic proteins for the treatment of serious and often rare diseases. Since the creation of LFB in January 1994, discover the dates that gone down the Group's history. Les Ulis, 24 October 2016 – In the presence of representatives of the State, the Occitanie region, the Gard department and the Alès metropolitan area, the LFB Group’s Chief Executive Officer Christian Béchon inaugurated the new industrial facilities of LFB biotechnologies plant LFB BIOMANUFACTURING in Alès on Tuesday, 25 October 2016. These new facilities will allow the industrial site, which specialises in cell culture manufacturing processes for recombinant drugs, to triple its capacities and prepare for FDA approval in 2017. 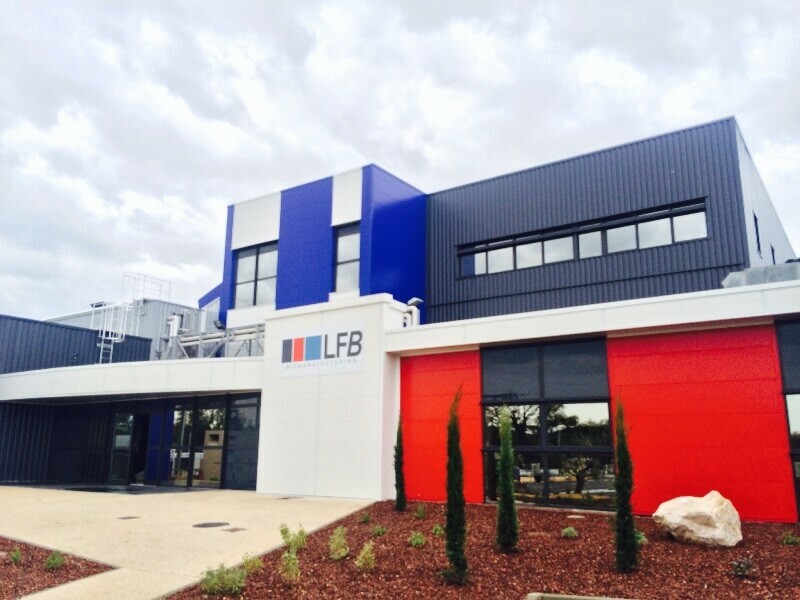 The LFB plant in Alès is expected to employ a staff of 100 within four years. The move is strategic for LFB — the Alès biotech plant will triple its capacities. The Alès plant is one of four LFB bioproduction sites in France, and specialises in cell culture manufacturing processes for recombinant drugs. Operated by the LFB BIOMANUFACTURING subsidiary, the Alès plant has seen its second-largest increase in capacity since 2010. Beginning 2017, the site’s production capacities will triple, so as to eventually increase ten-fold over the medium term. The new on-site industrial facilities, which were inaugurated on 25 October, make the considerable increase in capacity possible. They will additionally ensure the site meets European and US biopharmaceutical standards, which is a prerequisite for registering and selling medication produced at Alès in the US and around the world. The Alès site is preparing FDA approval for 2017, notably to register recombinant medication in the US in the field of haemostasis. The Alès plant now has some 700 m2 of production areas, including upstream cell-culture units in bioreactors, downstream purification units integrating the biological safety of medication, as well as the relevant control and inspection laboratories. It is the result of the LFB Group’s 10 million euros in investments, and financial support by the Commissariat général à l’égalité des territoires (CGET), the European Regional Development Fund (ERDF), and funding provided by the Languedoc-Roussillon Region, Gard Department and the Alès metropolitan area. “LFB needs to expand its capacities and technological expertise on the Alès site to succeed in its international development in the biotechnologies sector”, explains Christian Béchon, Chief Executive Officer of the LFB Group. “With this cutting-edge industrial site, whose capacity will eventually be increased ten-fold in the coming years, meeting the highest global standards, beginning in 2017 we should be able to manufacture highly innovative recombinant medication for the market, including a coagulation factor and monoclonal antibodies, so as to meet public health requirements”. The LFB site in Alès is today a cornerstone in the LFB bioproduction system, and in 2017 it will have the capacity to produce recombinant medication with high potential on a commercial scale. The industrial site also makes a significant contribution to the Cévennes, already having created 30 jobs since 2013 in biotechnologies, a promising field. In the coming years, the site is expected to have more than one hundred employees. “In ten years, the Alès site has become a real asset for the LFB Group, ever since its integration. It is now capable of producing cutting-edge biotherapies at commercial scale”, summarises Roland Béliard, Chairman of LFB BIOMANUFACTURING. Today, the LFB Group is the French leader in biological medicinal products, and operates four sites in France: two dedicated to human plasma-derived medicinal products in Les Ulis (Essonne) and Lille (Nord), and two to biotechnologies (CELLforCURE advanced therapy medicinal products in Les Ulis, and the LFB BIOMANUFACTURING site in Alès). LFB employs 1,670 people across France, and in the last five years has invested over 100 million euros in its industrial capacities in France. In June 2016, the first brick of the future LFB plasma-derived medicinal product plant was placed in Arras, with French President François Hollande in attendance.